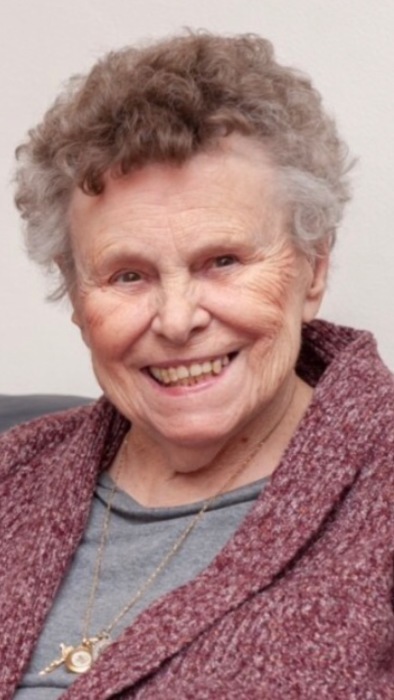 Dolores Francis Kotewicz Plyler Ochs, age 89, of Fairmount City, passed away peacefully early Sunday morning, February 10, 2019 in New Stanton, at the home of her daughter. Born March 11, 1929 in Northside Pittsburgh, she was the beloved daughter of the late Anthony and Jenny Olszewska Kotewicz. Dee married Robert H. Plyler in 1949 and William J. Ochs, Jr. in 1983. Both predeceased her. She was the loving mother of David “Zoom” Plyler of Jefferson Court, Brookville; Linda (Leroy) Guntrum of Fairmount City and Kathy (Tom) Bell of New Stanton and cherished grandmother of Kera (Joseph) Mariotti, Heath (Natalie) Copenhaver, Jeana (Dustin) Roy, Heather Copenhaver and Katrina Lutz (Ronald). Nana was an adoring great grandmother of Isabel and Joseph “JT” Mariotti; Aubrie, Gavin and Eden Copenhaver; Braden, Tycen and Brock Roy; Karcher and Krue Immekus; Domonic and Aryah Lutz and Mason Ace. Dee was a dear sister of Betty Shankle, George Kotewicz and Edward Kotewicz. She is also survived by many loving nieces and nephews and two step daughters and two step sons: Karen (Terry) Barlett; Linda (Denny) Smith; William (Deborah) Ochs and Dale (Patricia) Ochs and their families. In addition to her parents and husbands, Dee was preceded in death by an infant son, Daniel; her sister, Francis Cesnalis and her four brothers: John, Ray, Tony and Paul. Dee was a member of the St. Charles Catholic Church in New Bethlehem for 70 years. She spent a great deal of time cleaning and volunteering in many ways for her parish community. She was a volunteer at the Thrift Shop in New Bethlehem and the Clarion Hospital Gift Shop and enjoyed ceramics, bowling, painting, feeding her birds and her travels to Africa; a pilgrimage to Italy and traveling all over the United States. Dee loved going to the beach and spending time with her grandchildren and great grandchildren, who were the loves of her life. Family and friends will be received from 2-4 and 6-8 p.m. Tuesday, February 12, 2019 at the Rupert Funeral Home and Cremation Service chapel, 233 Penn Street, New Bethlehem. A Christian Vigil Service will be held at 1:30 p.m. Tuesday in the funeral home chapel. Mass of Christian Burial will be celebrated at 11 a.m. Wednesday, February 13, 2019 at the St. Charles Catholic Church, 201 Washington Street, New Bethlehem. Father Samuel Bungo, parish priest, will serve as celebrant. Interment will follow in the Lake Lawn Memorial Park in Reynoldsville.